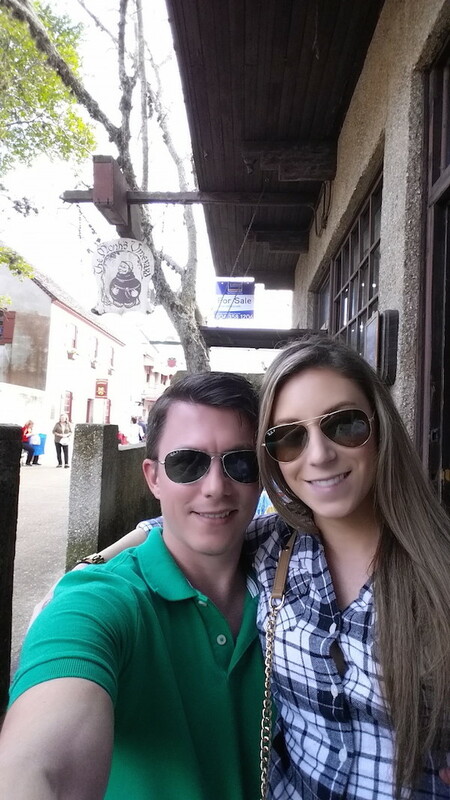 My BF and I went to St. Augustine, Florida a few weeks ago for a little trip. St. Augustine is apparently the oldest city in the U.S. We spent the day doing touristy stuff - we checked out all the cool/odd shops, stopped at the local fort, and had the chance to relax and enjoy some wine while people watching. It was pretty hot that weekend (80 degrees or so), and with all the walking planned I decided to wear shorts. A little PSA if you're planning to visit Florida in the winter: it's usually really hot! I think Miami has had like 2-3 days of "cold" weather so far this season, and I didn't even get to enjoy them because I was up North for the holidays! St. Augustine highlights included: a store dedicated to cat oddities, too many beef jerky stores to count, a popcorn store, a shop that sold swords and knives, and of course the many delicious restaurants and bars. We hit up Dos Gatos for some cocktails, Scarlett's for a pre-dinner drink, and the Tini Martini Bar for an after dinner drink. Love St. Augustine! Lived there for 5 years, and now live about half an hour away! If you ever come back email me and I'll tell you all the cool local places!